'Open Road' Recounts Dalai Lama's Global Journey Journalist Pico Iyer has a long history meeting with the Dalai Lama, the spiritual leader of Tibet who lives in exile in India. Iyer joins Fresh Air to discuss how the Dalai Lama is responding to the current Tibetan uprising and protest against Chinese rule. 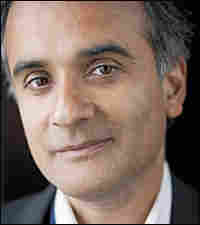 Journalist Pico Iyer has a long history meeting with the Dalai Lama, the Tibetan spiritual leader living in exile in India. Iyer joins Fresh Air to discuss how the fourteenth Dalai Lama is responding to the current Tibetan uprising and protest against Chinese rule. Iyer's new book, based in part on his conversations with the revered Buddhist monk over the last 33 years, is The Open Road: The Global Journey of the Fourteenth Dalai Lama. Iyer is the author of several other books, including his reflections on his travels, Sun After Dark. The two young men had many things in common as they settled into the room under the snowcaps, bright Tibetan scrolls on the walls, pine-covered slopes all around. Both of them were travelers—exiles—who had left their homes behind and so were in a position to think about home in a new way, without the limitations of nationality or race. Both were philosophers, too, but philosophers with a keen interest in the real world and the ways in which politics and society could be transformed by being seen in a different light. Both were coming of age at a time when cultures could reach one another as never before, thanks to jet planes and television screens, and the first question before them, perhaps, was how to turn this global reality into a fresh opportunity. The Fourteenth Dalai Lama was only twenty-four at the time, having come into India barely a year before, in March 1959, when Chinese troops had threatened to bring war to his capital of Lhasa and he had been forced to flee his native Tibet. Now, for the first time in his adult life, he was sharing a house with his mother and some siblings, relishing the chance to talk to strangers and come down from his throne as he could never have done in his old home. He loved to take walks in the high mountains in those early days, to picnic in meadows; he even started a garden as he had done in Lhasa. But every time he did, he later confessed, one of India's notorious monsoons would sweep through, reducing all his efforts to nothing, and a part of him would miss the high, dry plateaus of Tibet. My father, when he came into the room, was moving in the opposite direction. He had been born five years before the Dalai Lama, to Hindu parents, and had grown up in a tiny apartment in Bombay, shared with six siblings, some cousins, even the occasional neighbor. He had been trained in British Catholic schools and had so mastered the Shakespeare and Augustine they had taught him that he had won a scholarship to Oxford and now (like my Hindu, Bombay-raised mother, too) was teaching political philosophy in the ancient university. He had a rare chance, he knew, to bring the great Western tradition of Plato and Plotinus and Kant together with the Hinduism and Buddhism he had absorbed as a boy. At the time he sailed back to India and requested a meeting with the newly arrived Dalai Lama, my father was deep in research on Mohandas Gandhi. The Tibetan leader had himself been thinking intensely about Gandhi, of course, as he tried to see how he could lead a nonviolent struggle against a foreign occupation and summon political sophistication in a transpolitical cause; by chance, the house in which he was staying had been lent him by the same wealthy Indian family that had lent Gandhi his final home, in Delhi, and pictures of the Indian activist of just a generation before filled the building in which the young men met. The subtitle Gandhi had chosen for his autobiography—The Story of My Experiments with Truth—might have applied to the Dalai Lama's story, too (he was a practical and lifelong lover of experiments), as he tried to construct a new, more durable Tibet outside Tibet and to see how he could protect the rights of his people without denying the legitimate rights of their "great neighbor," as he called it, Communist China. Five years after that first meeting,my father brought out a book, The Glass Curtain, about the centuries of delusion and projection that had separated Asia from Europe. Its foreword was contributed by his new friend, the Dalai Lama, for whom cutting through differences to a deeper commonness was always a central goal. The book was dedicated—though it would take me decades to notice it—to a little boy called Pico and to "those of his generation for whom there will be no curtain." Forty-three years after that propitious encounter, one of its beneficiaries woke up in his two-room apartment in suburban Japan on a brilliant autumn morning, at the dawn of a new millennium, to spend a day with the Dalai Lama. I'd been visiting him in his exile home for almost thirty years at that point, and had been following him on his global travels for almost as long. But still I was intrigued by the quiet revolution he was promulgating, challenging us to see politics, globalism, celebrity itself, in a larger and more spacious light, and I was interested to examine all the challenges and questions his experiments entailed. He had been taking to the road more and more often in recent years, partly, as always, to speak for the six million Tibetans more or less imprisoned in Chinese-occupied Tibet, but also, increasingly, to speak on behalf of what he now called "global ethics," those basic principles of kindness and responsibility that anyone could implement in her life, whether or not she was committed to any religion. In my many years of traveling as a journalist, I couldn't remember any other Tibetan—or exile—I had met who spent no time mourning the past he had lost but concentrated his energies on how he could construct a more useful and inclusive future across the globe. Japan in November is a blaze of radiance and impermanence. The sky this day, as on most such days, dawned a startling blue, the temperature in the seventies, even as the leaves all around the town of Nara began to turn ocher, lemon-yellow, the russet of a Tibetan monk's robes. The very heart of Nara, the first Buddhist capital of Japan, thirteen centuries before, is a deer park that brings to mind the park in which the Buddha delivered his first discourse, in India. Everything changes, falls away, dies, the leaves in the Japanese autumn say, and yet everything comes back again, and change itself is a kind of constancy. Life, as some Buddhists have it, is a "joyful participation in a world of sorrows." We got up early, my longtime companion Hiroko and myself, the morning light throwing pools of gold across our ceiling, and traveled by bus and train out to the musty Nara Hotel, a ninety-year-old hunting lodge of a place that sits at one corner of the deer park like a keepsake that has fallen out of some absentminded visitor's pocket. Just before nine a.m., we were ushered into a small conference room, where ten local academics and monks—all men, most of them in formal black—were seated around a table, trying to stifle their yawns, and sitting upright and a little stiffly in the Japanese way. We took up folding chairs against the wall, observers, and I thought of how the Dalai Lama himself had already been up for more than five hours, awakening, as he always does, at three-thirty a.m., to spend his first four hours of the day meditating on the roots of compassion and what he can do for his people, the "Chinese brothers and sisters" who are holding his people hostage, and the rest of us, while also preparing himself for his death. When he came into the room, accompanied by a group of aides and hosts, his stooped figure pressing forward—"He looks like a middle linebacker," his old friend and admirer Abe Rosenthal, longtime managing editor of the New York Times, had once said to me—there was a sense of sharpened attention in our midst. He was looking around him as ever, picking out familiar faces, making eye contact with strangers, taking his new surroundings in (when I went to see him in Dharamsala, eighteen months later, many of the examples he would use would come from this brief trip to Japan). His hands were joined before him, in a gesture of respect, and his bearing, the opposite of remote,was aimed, I thought, to try to dissolve all borders and get formality out of the way. We're all in this together, his body might have been saying; let's see if we can use this session for some good. Taking his seat at one end of the table, he looked around the room with frank, unembarrassed curiosity, and at the translator chosen for this meeting—a local American hippie, by the looks of him, with a thick gray ponytail and a Gypsy vest. (The Dalai Lama can rarely catch sight of a beard or a male ponytail without wanting to tug at it.) As the Tibetan offered a few words of introduction, I noticed, as I had not quite seen before, that he was coming into the room, essentially, as a spokesman for "potential," to use one of his favorite words. A team of scientists in Wisconsin, complemented by researchers at Princeton and Berkeley, he said, in his measured, deliberate way, passing in and out of English and Tibetan, had been conducting a series of experiments on monks and practiced meditators to measure the effect such training can have upon the mind. So far they had found that those who had meditated for years could lower their heartbeats by three or four beats a minute (even, in a few exceptional cases, more), could alter their brain scans, could even boost their entire immune systems. Conclusive results had yet to be firmed up, but the research suggested that just as so many of us these days had taken to training and strengthening our bodies, perhaps we could do the same with our minds? And if we could control our heartbeats, our theta waves, even the heat of our bodies, perhaps we could also do more to control our thought patterns, our anger, our perceptions? Certainly, the new neurological idea of "brain plasticity" suggested that we had much more potential for change than had previously been imagined. The mind was something we had the potential to transform. So, too, therefore, was the world that the mind created. Siddhartha Gautama, the Buddha, was, first and foremost, an empiricist, a scientist of self; what he learned he learned by conducting experiments on the closest specimen to hand, himself. First he walked out of his gilded palace at the age of twenty-nine, in order to see firsthand the realities his father had tried to screen from him, the abiding truths of old age and suffering and death. Then he traveled and traveled, consulting teachers, practicing austerities, and, finally, sitting down under a pipal tree and vowing not to get up again until he'd come to some understanding of the nature of suffering and, further, of how we could come to a liberation from suffering. Then he traveled for the rest of his life, extending and sharing the understandings he'd gained. He always took pains to tell people he was no more than an experimenter, doing nothing that the rest of us could not do; his aim was simply that of a doctor at a sickbed, eager to find an immediate solution to the problem at hand, without claiming his was the only or even the best solution. By speaking, as he often did, of a "path," he was saying, in effect, that we could always go further, that everything was in a constant state of flux and that all he was doing was showing the way so that others could take it in new directions. The Fourteenth Dalai Lama had been pushing along the same road for several decades now, turning around corners to meet a world in which almost every culture could access every other, and a single image had the power to reach the entire planet; he had traveled out of the mud-and-stone village in which he was born to the center of a kingdom that had no roads linking it to the outside world even in the 1950s, and then right into the heart of the twenty-first-century whirlwind. But he always stressed that, like the "scientist of mind" who was his root teacher, he had no wish to claim final authority. "Our master gave us liberty to investigate even his own word," I would hear him say two years later in Zurich, of the Buddha, "so I take this liberty fully!" As a boy he early showed a fascination with all things scientific, fixing the old generator in the Potala Palace in Lhasa, using a telescope left to him by the Thirteenth Dalai Lama and seeing that—contrary to Tibetan teaching—the moon did not generate its own light; delighting (as the Thirteenth Dalai Lama did) in taking watches apart and then trying to put them together again. Even now he kept a plastic model of the brain with labeled, detachable parts on his desk at home and loved to meet scientists who could improve his understanding of the world and mind, in part by disproving his assumptions about them. Science, he said to the Japanese intellectuals,"mainly deals with matter; faith mainly deals with the observer itself." Both, however, tell us "there is no independent objectivity." And both, he said, are concerned with "reducing the gap between reality and perception." Recent research, he might have added, soon to be featured on the cover of Time magazine, suggested that those who score high on tests for happiness live longer than others, in part because happiness is a function not so much of our circumstances as of our perceptions. People who win the lottery often profess themselves no better off than before—they don't know who their friends are, they feel uncomfortable in their posh new neighborhoods, they spend all their time with lawyers; yet others, who are suddenly rendered paraplegic, after roughly a year of adjustment confess themselves really no worse off than before. The mind, as Milton puts it at the beginning of Paradise Lost, "can make a Heav'n of Hell, a Hell of Heav'n." 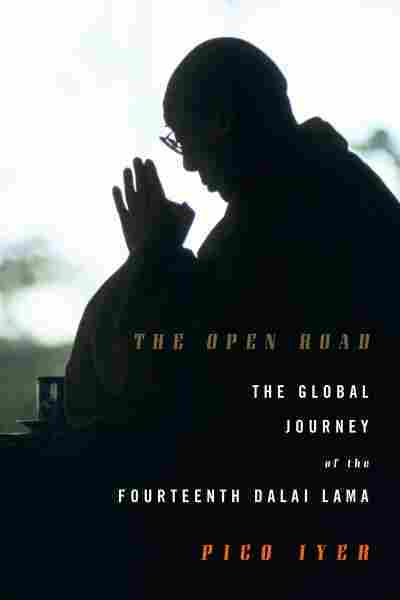 Excerpted from The Open Road: The Global Journey of the Fourteenth Dalai Lama, by Pico Iyer, with permission from Knopf Publishing. Copyright (c) 2008, by Pico Iyer. All rights reserved.